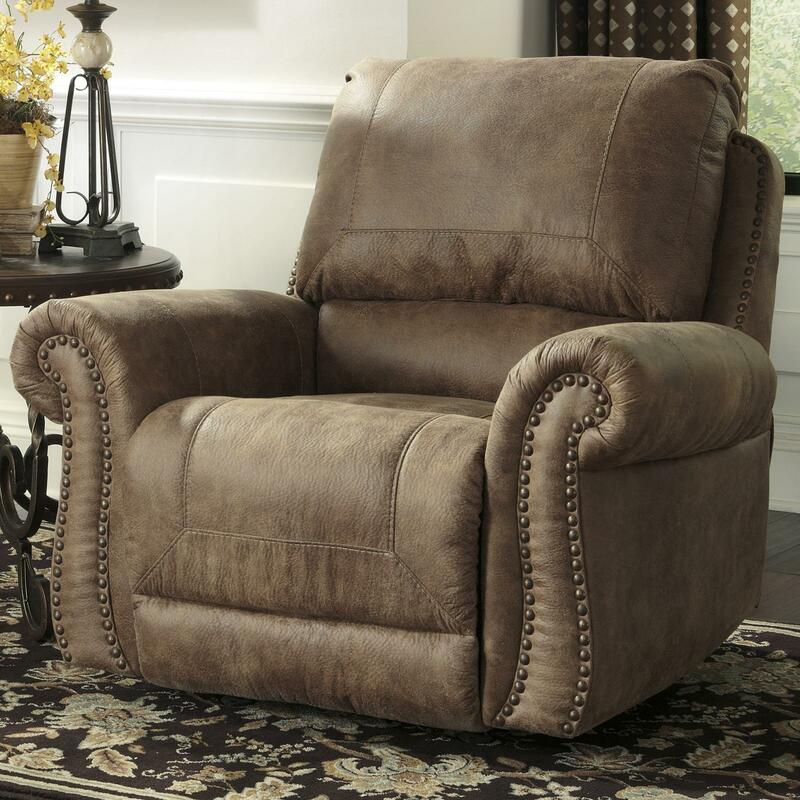 Enjoy comfort in the sophisticated and stylish Rocker Recliner. The chair features reclining and rocking mechanisms without losing the traditional style. The chair stands out with the leather-like fabric that features window pane stitching adding a luxurious touch. 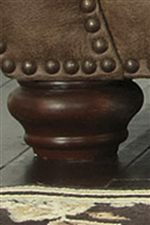 The traditional styling of the chair features large roll arms and nailhead trim. When you are not rocking back and forth, recline back into infinite positions and relax with the fully padded back and footrest. 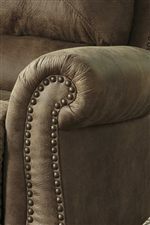 Space required between recliner and wall: 12"
The Larkinhurst - Earth Roll Arm Rocker Recliner w/ Nailhead Trim by Signature Design by Ashley at Miskelly Furniture in the Jackson, Pearl, Madison, Ridgeland, Flowood Mississippi area. Product availability may vary. Contact us for the most current availability on this product.